A "Riddle in a Bottle" quest is one of the Haunted Burrow Fall Festival quests. 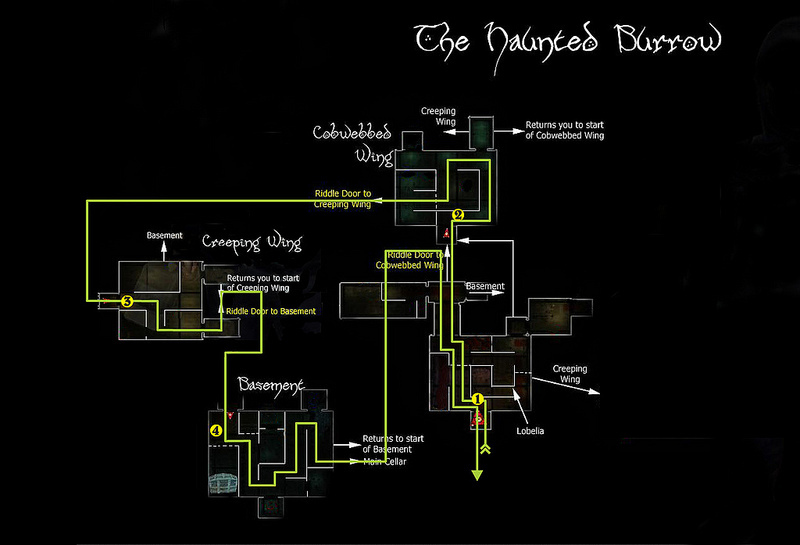 It has a time limit of 5 minutes for completion and it is necessary for the completion of "The Haunted Burrow" deed (which grands the "Burrower" title). 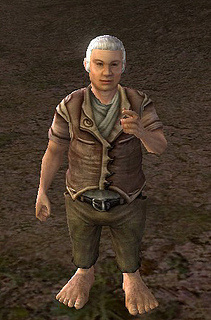 The "Riddle in a Bottle" quest is received by Adalgrim Goodbody who is waiting for you near the Party tree at the Shire, just outside the Haunted Burrow (29.6S, 71.6W). 'Hallo friend! As many folk in these parts know, Old Mad Baggins was a great lover of riddles, so it seems he left a riddle or two for us in his Haunted Burrow. 'Only problem is, I can't make a thing of it! 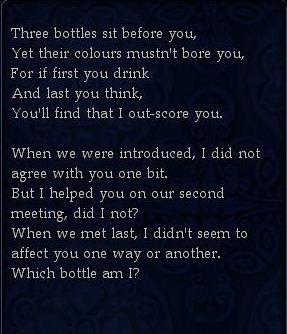 After the first riddle, I must have had a drink from the wrong bottle, and it made me worse off than before. When you receive the quest take a note of Adalgrim Goodbody's location as you will have to run back to him to report within the 5 minute time limit. The quest consists of 4 stages. 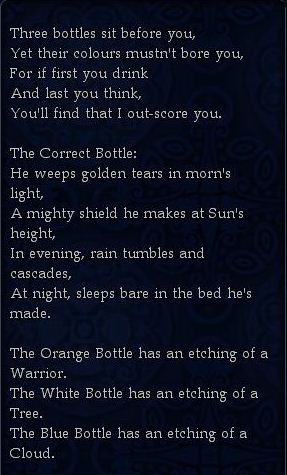 Each stage includes a clue which the player has to click on to read the riddle, and three bottles, white, blue and orange that represent the answer to each riddle. Choosing the correct bottle grants the player with a buff (Protection from Spookiness) that protects the player from the spooky tricks of the Haunted Burrow for 5 minutes or untill they reach the next riddle. 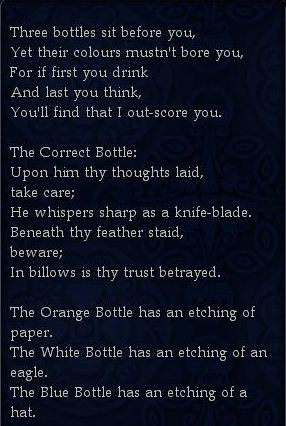 Of the wrong bottles, the one ("You have chosen poorly") punishes the player with a a 50% run-speed penalty for 5 minutes or until they reach the next riddle spot, and the other has no effect ("That tasted like water"). Bellow you can see the riddles and their answers (hidden in spoilers, as someone might want to try to answer the riddle themselves). The numbers are references to the map bellow. The blue bottle is bad. The white bottle is bad. The orange bottle is bad. The white bottle is water. 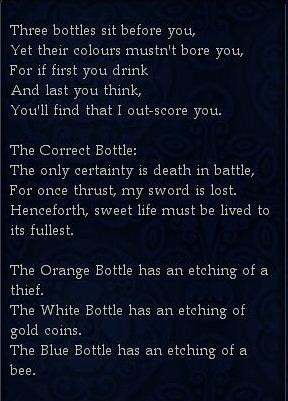 Note that even if you go with the white bottle at this point you are still able to finish the quest. 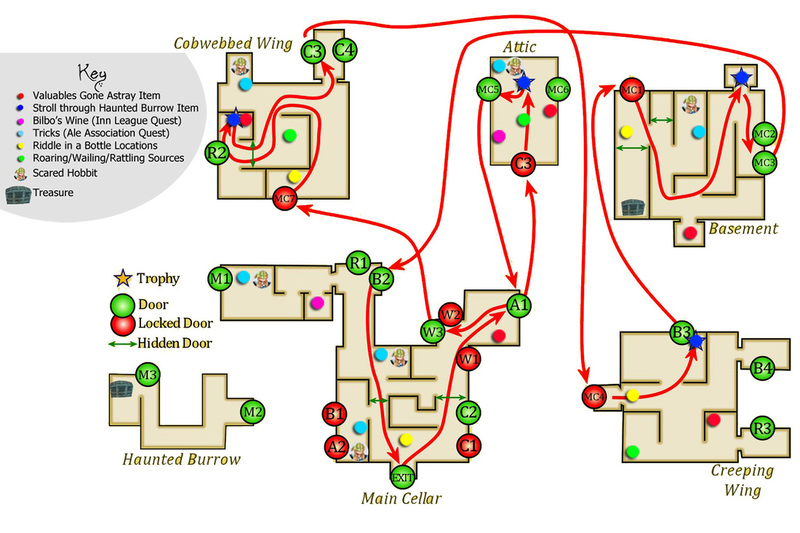 When you answer the fourth riddle you need to go back to the main entrance of the Main Cellar and exit the Haunted Burrow to meet Adalgrim Goodbody. Many thanks to Sibba for editing the map and to CSTM for the original map.